Home / Index category / Switzerland looking for a new head-coach – Goran Perkovac at GWD Minden! 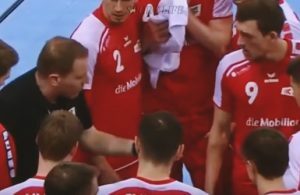 Switzerland looking for a new head-coach – Goran Perkovac at GWD Minden! 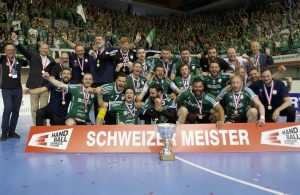 Swiss Handball will enter a new era with the new head-coach. After five years Goran Perkovac (51) won’t be on the Swiss bench. Bad results in the qualification for the Men’s EHF EURO 2014 forced Swiss management to think about some new solution for the future. Swiss team won only a point from six matches in the Group with Spain, Portugal and Macedonia. That fact didn’t make problem to Croatian coach to find a new job. Perkovac will lead German GWD Minden, team which interim coach Sead Hasanefendic accepted an offer to lead Tunisia once again after tremendeous success in 2005, when African team finished fourth at WCh. Wacker Thun new Swiss champions in dramatic finish!